Lanyards > Badge Reels > Custom Logo Printed or Laser Cut > Custom Printed Badge Reels With Full Colors Available. All Pantone PMS colors and even a full CMYK color are available for custom printed reels. Just give us the exact PMS number then we will print the exact colors to match your requested prints. They are available for all models of our retractable reels with great custom prints and with eye-catching clear plastic protective dome cover. 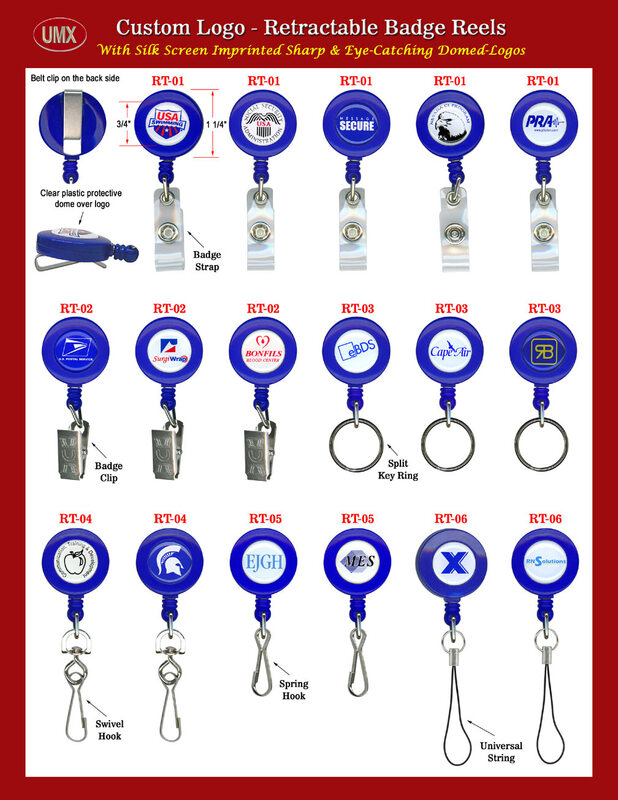 Your are viewing Lanyards > Badge Reels > Custom Logo Printed or Laser Cut > Custom Printed Badge Reel With Full Pantone Color and CMYK Color Available on Our Complete Line of Retractable.